A social worker has won an appeal against “intrinsically unfair” criticism from a judge that caused her to be suspended from her job. Together with a local authority and police officer, the social worker appealed against being named in a court judgment that included “a range of criticisms and findings” against them. The Court of Appeal found that the original court’s findings were the “result of a wholly unfair process” and “the consequences for those who are criticised in those findings are both real and significant”. In the original care proceedings, the judge concluded that allegations of child sexual abuse in the case were false. The judge said the social worker and police officer “were involved in a joint enterprise to obtain evidence to prove the sexual abuse allegations irrespective of any underlying truth and irrespective of the relevant professional guidelines”. The judge said the social worker was “the principal instigator” and had drawn other professionals in. Recounting the original decision, the Court of Appeal judge Lord Justice McFarlane said: “The judge found that both the [social worker] and [police officer] had lied to the court with respect to an important aspect of the child sexual abuse investigation. The judge’s findings led to the social worker being suspended from her job at a new local authority after it was informed of the criticisms, prior to the judgment being made public. After the criticism was revealed to the social worker and police officer, the original judge did hold direction hearings with them. These hearings led to parts of what the judge said being amended but the Court of Appeal said that this was insufficient. McFarlane ruled that the social worker and police officer’s right to a private life would have been breached if the original judge was permitted to share their names, especially since the way he reached his conclusions was unfair. McFarlane described the cross-examination of the two professionals as “entirely conventional” and said the case never went beyond the normal parameters of care proceedings of its kind. “At no stage did the judge give voice to the very substantial and professional damning criticisms that surfaced for the first time in the bullet-proof judgment,” he said. McFarlane concluded the original judgment represented “a wholesale failure to achieve a fair trial” and ordered the findings against the social worker and police officer to be struck from the ruling “as if they had never been made”. “This is not a matter that is finely balanced; the ground for the criticisms that the judge came to make of [the social worker, police officer] and the local authority, was simply not covered at all during the hearing,” he said. McFarlane described the appeal as a “vanishingly rare” case, which relied on a “highly unusual combination” of factors. These factors were a judge being driven to make highly critical findings, that the findings played no part in the case presented, and the judge chose not to raise the matters of criticism at any stage prior to judgment. He added that in other cases where expert witnesses are criticised by a judge it would be “very rare” that fair trial rights would be in danger of breach to the extent they would be entitled to an additional process. “Where, as I have found to be the case here, the adverse findings complained of have been made as a result of a wholly unfair process and where, again as here, the consequences for those who are criticised in those findings are both real and significant, it is incumbent on this court to provide a remedy and, so far as may be possible, to correct the effect of the unfairness that has occurred,” McFarlane said. So,will the offending judge be disciplined? Will the offending judge write an apology to the social worker and policeman? I am not holding my breath! Refreshing to see unfair comment on social workers being addressed. Great that judges feel free to criticise and bring to account their own professions members. See how so many Social work Professionals are unfairly treated at the hands of judges, Managers/Organisations etc on top of the significant stress they face day in day out in their jobs? Imagine such flawed judgement from one opinionated Judge, leading to one being suspended from work. Imagine the torture these two victims of unfair judgement (Social worker and Police Officer) went through!! Imagine if the social worker was not brave enough to appeal against the original judgement!! How many are facing such unfairness and cannot defend themselves! This is real hell on earth. I hope this flawed judge faces some reprimand and pays equally for the misjudgement. Will the judge be named? Why should he have the anonymity that he took away from others. Judges needs to understand that we do a thankless job with low pay to protect children and families, not to have our names and families sacrificed. If they only knew the risks that our chosen profession places our families in. My children had to be known by different names in school, they were victimised by some of their peers, they have had their names, dob, schools and our address published on a hate SW website (the judge was aware, and did nothing), one child has been targeted by a man who posed a significant risk to him………… all so I can protect children. There is something so very very wrong with the system, this judge should be ashamed. Emily thank you for sharing your experience. I am a SW myself and I am inspired by your story of doing what you believe in and not being deterred. I am saying thank you for the important job that you do day in and day out. The sad thing is despite of this social workers reputation is in tatters…… The original judge needs to be made responsible for his/her actions. But I doubt that will happen…..
Good to see social workers fighting back for what they believe and stand for, social justice, well done. Well done colleague for standing for yourself after hard work and trying to put things right for children you care for. All professionals are accountsble. Why judges are exceptionals? He/ she should be named and reprimanded accordingly. Social workers are the scapegoat professionals alongside other professionals who work with children. Protection of children is being watered down by threats of naming and shaming and I do applaud the social worker who stood up to bullying and degradation to uphold her professional status and right to a family life by her courage to challenge the legal system that would have shown no remorse for blacklisting her and her family if this had not been overturned. It’s about time that judges are taken to task about their decision making and if they have committed grave errors of judgment they also should be named and shamed and suspended from their well paid roles of power as being unfit to practice. Will this happen? It could if the system was fairer and not layered with bureaucracy. Protecting children is getting harder with social media and public attacks becoming the norm against our profession. Social workers try very hard to work with risk, balancing needs and rights, and being accountable and scrutinised. There will be a point where it is no longer a profession that attracts recruits as there is no thanks, lots of abuse, threats to personal welfare and that of our families, and other professionals seeing us as a soft target. At what point will this be properly addressed and managed. In this case, there clearly was significant concern to warrant legal intervention in the first place. 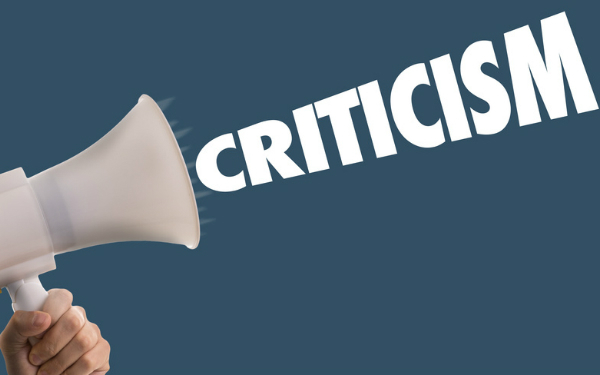 There is a myth we make decisions, we don’t, judges do, but when they are so hostile to people doing their jobs leaves the question is all that effort worth the constant criticism and put down. Does it actually help to make children safe? Given there would have been so much work done with the child and family, and working together, with other agencies, and case conferences, legal meetings, senior management scrutiny, supervision, there is no credibility given at all to believe the social workers. Its not in social worker interests to fabricate evidence, and write lengthy court reports- its a lot easier to do a poor job, not see risk, not intervene, and not take proceedings, as this would make caseloads more manageable- keep children out of care etc. less work for the social worker. Its never questioned why do social workers face the brunt of all this criticism and back breaking case loads, its because they care. Its not for the money and certainly not for the thanks from judges and others, I am sure the social worker in this scenario will carry on, but with a degree, and all those excellent skills in communication, working with people, and writing skills, and ability to manage complex and challenging situations there are many an employer would be glad to take them on, and then we will have lost another one from the profession. I am sure the child has been central, which is why the safety principle was paramount, so I have not discussed the actual case, but felt some debate about profession bashing was important. Give social workers a break. A thanks in community care and other media and job well done would be good for morale.